Some people want nothing to do with traditional cable packages. So they cut the old cable-TV cord. This campaign launched at a time when watching live TV without those packages could be tough. Which meant you were susceptible to nightmarish things like spoilers. Enter Stream TV from XFINITY. With Stream TV, you can watch live TV on any of your devices, without a cable package. In other words, you can Go Live with Stream TV. Which can reap you many benefits. This social campaign highlighted some of those key benefits. Also, it generated affinity for a brand that was decidedly lacking in affinity. We created these videos to remind people that, when you watch live TV with Stream TV, you don't have to worry about spoilers. Of course, there are other ways to avoid spoilers, but maybe they're not so good? 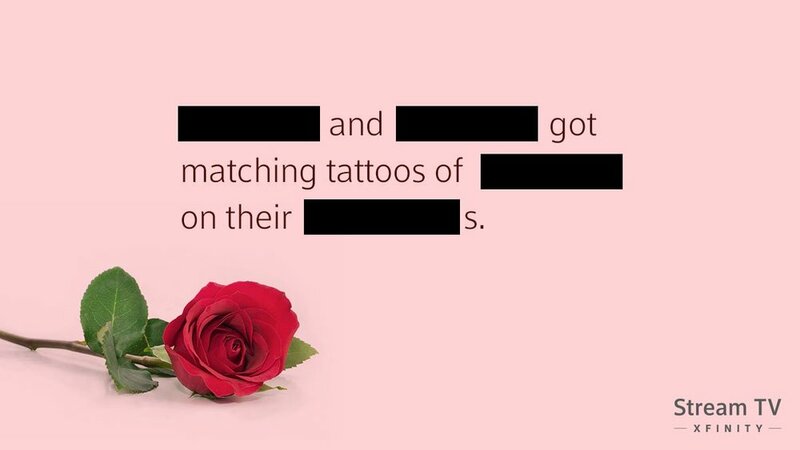 Shortly after a hit show aired, we went live with these static posts: spoilers to that specific show, with key pieces of information redacted to prevent the show from getting truly spoiled. Of course, the best way to fill in those blanks is to sign up with Stream TV. We also created a series of GIFS like this one to show what else it means to Go Live. This GIF (turned into a video here) was in a post that reminded people that, when you Go Live, you can release your inner Bear with the rest of the fans.